A domain name registry is a database of all domain names and the associated registrant information in the top level domains of the Domain Name System (DNS) of the Internet that enables third party entities to request administrative control of a domain name. Most registries operate on the top-level and second-level of the DNS. 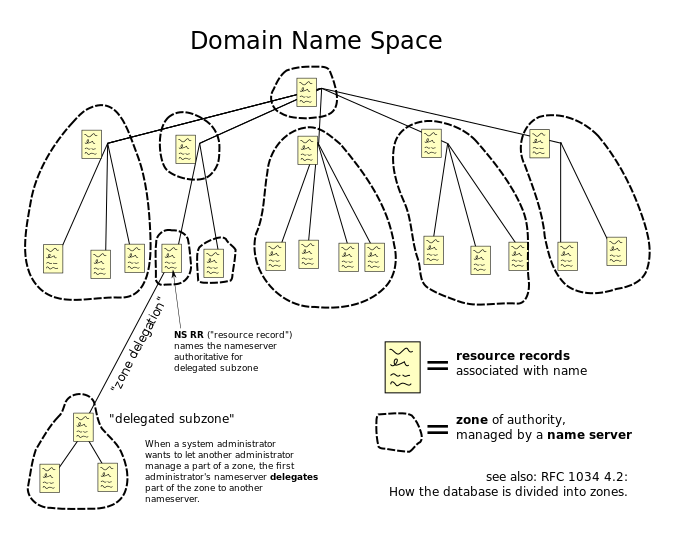 A registry operator, sometimes called a network information center (NIC), maintains all administrative data of the domain and generates a zone file which contains the addresses of the nameservers for each domain. Each registry is an organization that manages the registration of domain names within the domains for which it is responsible, controls the policies of domain name allocation, and technically operates its domain. It may also fulfill the function of a domain name registrar, or may delegate that function to other entities.Domain names are managed under a hierarchy headed by the Internet Assigned Numbers Authority (IANA), which manages the top of the DNS tree by administrating the data in the root nameservers. IANA also operates the int registry for intergovernmental organizations, the arpa zone for protocol administration purposes, and other critical zones such as root-servers.net. IANA delegates all other domain name authority to other domain name registries. Country code top-level domains (ccTLD) are delegated by IANA to national registries such as DENIC in Germany and Nominet in the United Kingdom. WHOIS (pronounced as the phrase "who is") is a query and response protocol that is widely used for querying databases that store the registered users or assignees of an Internet resource, such as a domain name, an IP address block or an autonomous system, but is also used for a wider range of other information. The protocol stores and delivers database content in a human-readable format. The WHOIS protocol is documented in the Advanced Research Project Agency Network (ARPANET) Request for comments document RFC 3912.